Builders and developers have spent the past several years trying to design their own blueprint for low-impact development. Simple Life Communities has been credited by ecologists and city planners for successfully providing residents with an option that appeals to homeowners and Mother Nature. Downsizing in square footage reduces the environmental impact by consuming fewer resources and allowing more of the natural landscape to remain. Most Simple Life residents appreciate the beauty that surrounds their homes including carefully planted trees, shrubs and perennials that invite the areas species to come and enjoy. Often, you’ll see residents enjoying the outdoors during a brisk morning walk or an evening stroll. In Flat Rock, NC the community is about to embark on a guided restoration of Dunn Creek, an activity that will both bring the residents together and beautify their natural surroundings. “Our pollinator garden has a bunch of species that advocate for monarch butterflies, birds and ecology in this community. We purposely find species that promote diversity,” Osgood said. 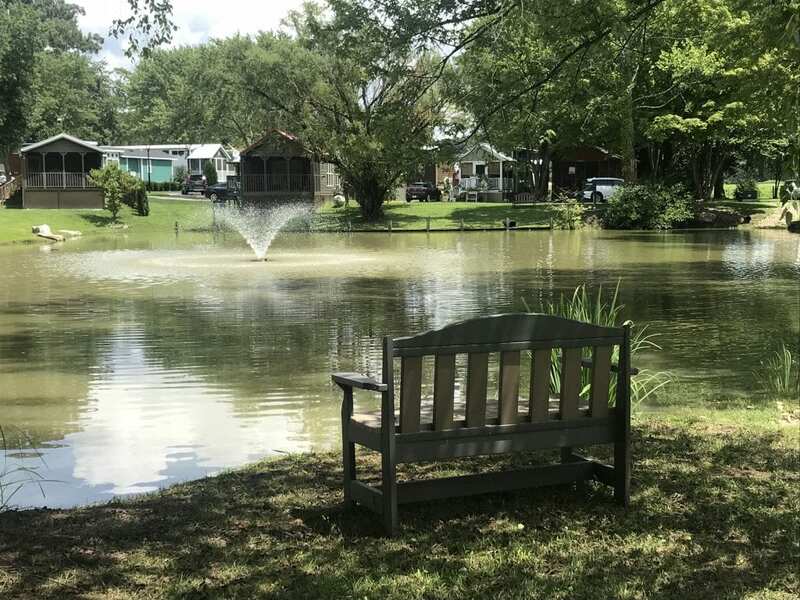 From the outside surroundings to the small footprint of each tiny home and the community amenities, Simple Life strives to be an environmentally friendly and low-impact community. Many residents appreciate the opportunity to be passively green and report feeling a deeper connection with the environment and where they live. Through careful design, thoughtful planning, simpler construction and fewer materials Simple Life residents are playing a big role in the environment by living tiny. Simple Life Communities are currently located in Flat Rock, North Carolina and coming soon to Wildwood, FL near The Villages. For more information about Simple Life Communities contact us at 828-707-0969.